Marc Marquez says that the key to this weekend’s second round of the 2017 MotoGP world championship will be tyre life, as he prepares to take the fight to Maverick Viñales after finishing the opening round of the season off the podium. Marquez came home in fourth last time out, far from the battle between Viñales, Andrea Dovizioso and Valentino Rossi, but is hoping to bounce back this weekend as the series moves to a track he has an impressive record at. “Qatar was a hard Grand Prix but we improved a lot over the weekend even if we couldn’t reach the podium on Sunday. Now we’ll see if the work we did there will be fruitful in Argentina. The track is nice; I’ve always felt good there, but the grip level is always pretty low. 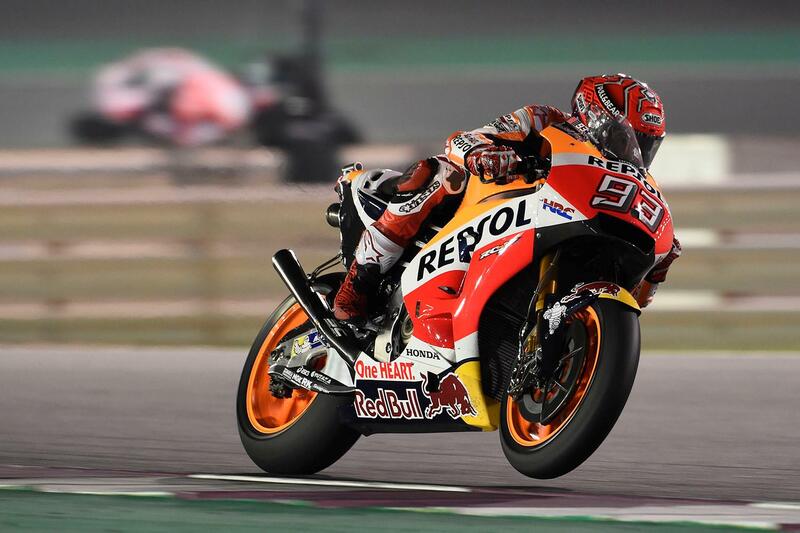 However, teammate Dani Pedrosa, who finished Qatar in fifth, says that it might not be an easy weekend for them, as Honda move to a track where they’ve yet to test their new big bang configuration engine at. “We’ve remained positive after the first race, which was quite strange due to everything that happened before the start, and now we aim to keep working hard, looking to improve in Argentina. We’ll start with basically the same setup we finished with in Qatar, of course adapting the gearbox and the mapping setting to the track, and on Friday we’ll see where we are.